On October 28th the European Commission organised for the first time a conference about dogs and cats in the EU. The conference took place in Brussels and was headed by Mr Tonio Borg, Commissioner for Health. 16 speakers were invited, representing universities, MEPs, veterinarians, animal welfare organisations, health ministries of EU countries, and to represent the organised dog world, Jørgen Hindse, President of the FCI Europe Section, was invited. 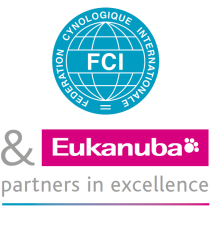 Breeding of dogs are closely linked to judges’ understanding of the breeds standards for the different FCI breeds. Jørgen Hindse showed one example of a breed standard and how it can be understood and how it can be used or misused. He did also explain how breeding is organised in the FCI system, and how the FCI Breeding Rules force the breeders to follow the instructions from the FCI Breeding Commission. A special point is exaggerations and how to avoid them. There was a large range of topics at the conference: General animal welfare, stray dogs, animal transportation, risks of infection from animals to humans, puppy farming, responsible pet ownership, legislation, etc.